Beef shin is a much underused cut, yet it has fantastic flavour when slow-cooked. In this fragrant beef recipe Alyn Williams cooks it for 8 hours in a braising liquor, resulting in a tender, melt in the mouth texture when served. 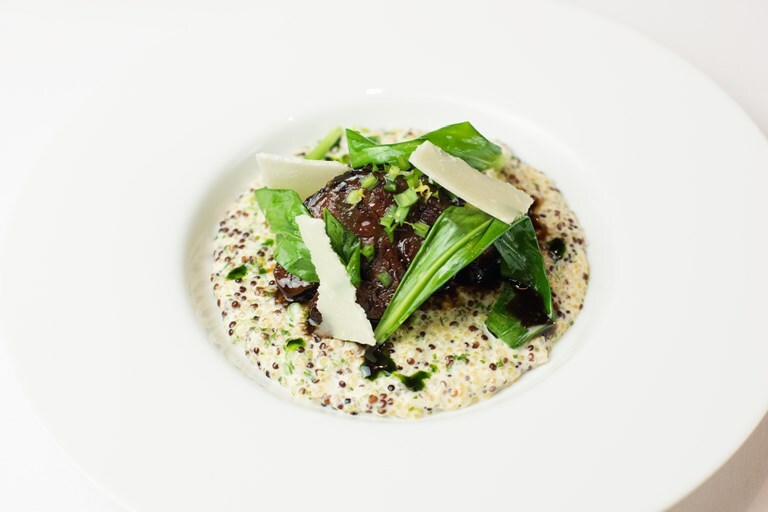 Paired with fragrant wild garlic on a bed of creamy quinoa, this is the perfect recipe to welcome in spring.